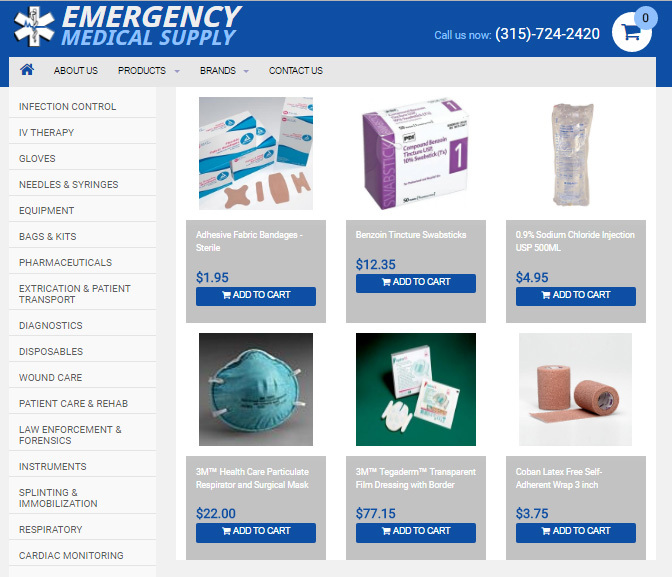 Emergency Medical Supply provides a full line of medical supplies, equipment, pharmaceuticals, educational and training manuals, uniforms/clothing to EMS, Fire, Law Enforcement, Public Safety and Government agencies. We also service educational institutions, health centers, physician offices and the general public. We will be happy to create an individualized order form that suits your needs and saves you time. Emergency Medical Supply is also an authorized distributor of Simulaids - one of the world's largest manufacturers of simulation training aids for healthcare and rescue workers. 100% made in USA.